Lyons' pathetic article appeared in The Australian on 7 May. Unspeakably lamentable; anti Israel to say the least! Lots of people complained - including my humble efforts - can be seen via the link. So I draw your attention with caustic / cynical / sarcastic intent to the ""NEW'' John Lyons writing a warm inner - glow article clearly designed to offset his regular biased anti - Israel efforts - DATED 12 MAY. IN a sprawling, leafy compound between Jerusalem and Tel Aviv, science meets money. This is the Weizmann Institute of Science, Israel's leading research institute, which generates more money from its breakthroughs than almost any other facility in the world. There are probably more wealthy scientists walking around these landscaped gardens than any other comparable facility. Under "the Weizmann model", scientists receive 40 per cent of royalties while the Weizmann receives 60 per cent. One Weizmann success story is the Copaxone drug for multiple sclerosis, which has underpinned the success of Israel's pharmaceuticals giant, Teva. In January, outgoing Teva chief executive Shlomo Yanai said Teva, which was on course to have $US20 billion ($19.8bn) in revenue, needed to reduce its dependence on Copaxone -- reported to account for 50 per cent of its profits. Today, we are greeted by Jacob Karni, who is working on one of his lifetime projects with Australian company Greenearth Energy. Professor Karni is working on recycling carbon dioxide, using solar energy to break it down and turn it into clean energy. "Weizmann is more like an academic institution such as the University of Sydney or Melbourne rather than like CSIRO, which is a national laboratory," Professor Karni says. "But it is unique because unlike most universities it is a research institute that also has a graduate school. We don't have any undergraduate programs here. "The Weizmann Institute essentially says to its faculty we substantially reduce your teaching load to allow you to concentrate more time on research." Professor Karni's technology "is to use solar energy to break down carbon dioxide into carbon monoxide and oxygen". "We would then use the carbon monoxide as a fuel or a precursor for other fuels. This would be clean energy," he says. "We are, in effect, recycling carbon dioxide. We are ensuring that it does not get emitted into the atmosphere and then using it for our energy needs. We would create syngas -- synthetic gas -- out of this, such as methanol." Greenearth is only the second Australian company to conclude a deal with Weizmann. Weizmann's list of claimed successes includes: the development of amniocentesis, the prenatal test for fetuses; laser systems for diamond cutting; a method for growing hybrid seeds that prevents the transmission of disease from one generation to the next; affinity chromatography; living polymerisation, a technique of the modern polymer industry; Copaxone; a second multiple sclerosis drug, Rebif; the anti-cancer drug Erbitux; a new vaccination for hepatitis B; a method for bone marrow transplants from mismatched donors; a method for distinguishing between malignant and benign tumours; varieties of agricultural crops including protein-rich, high-yield wheat; early ripening melons; disease-resistant Delilah cucumbers; and electronic encryption systems for encoding and decoding satellite TV broadcasts. Weizmann does its deals through its own company, Yeda, a Hebrew word for knowledge. Weizmann says that since Yeda was formed in 1959 it has registered about 1400 families of patents and established 42 companies. Weizmann also established a hi-tech park, Kiryat Weizmann, which houses dozens of companies working on its scientists' inventions. Spokesman Yivsam Azgad told The Weekend Australian: "The model is to find, as much as we can, developers to look for applications of each patent. We do not get into partnership; nor (do) we sell patent -- we prefer receiving royalties. We insist on a strong effort of the developers to develop the discovery." The Weizmann philosophy is aptly reflected in a saying above Professor Karni's desk: "Vision without funding is hallucination." Melbourne businessman Ruvi Herzog has been the driver of the clean-energy deal, making it the priority of countless trips to Israel. He told The Weekend Australian: "I am involved in the commercial world on a daily basis, but this is the most exciting project I have and probably ever will work on." But two years ago, Professor Karni's technology was licensed to another company. Yeda insists that if a company that buys a licence cannot raise finance within a certain period, the licence reverts to Yeda. Mr Herzog, Rob Annells, the founder and chairman of Greenearth, and Greenearth managing director Mark Miller were impressed by the technology but knew it was under licence. But when in June 2010 the previous company was unable to come up with funding and the licence lapsed, the Australians flew Professor Karni to Australia. They introduced him to Melbourne entrepreneur Les Erdi, who was impressed and agreed to back the project. Mr Herzog and Mr Annells, through Greenearth, then formed a company in Israel called New CO2 Fuels, 50 per cent-owned by Greenearth and 50 per cent by Professor Karni and his team. Mr Erdi has an option to buy NCF in its entirety; if he exercised this option he would pay an option fee that would be split between Professor Karni and his team and Greenearth, of which Mr Erdi and Mr Herzog are the largest shareholders. After that, royalties would be split between Professor Karni and his team, Greenearth and Yeda. Commercial success will be determined by whether the company can produce clean energy for cars at a price comparable to petrol. 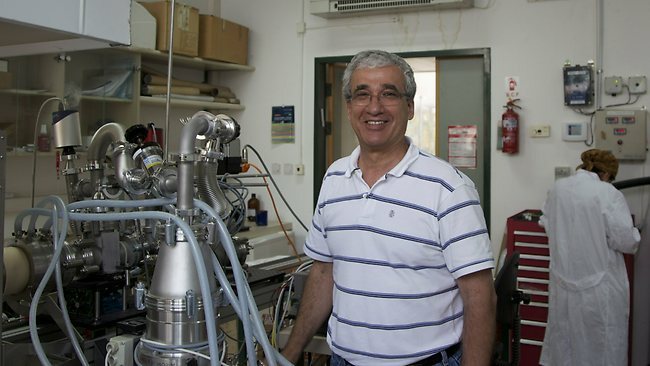 Professor Karni says that 23 years ago, when he arrived at Weizmann, he began research directed at solar energy conversion. Then, about eight years ago, he and his team started to develop a method of using concentrated solar energy to convert carbon dioxide, the main emission component of standard combustion processes to fuel. "The concept has now been proven in our lab," he says. "Greenearth came to Yeda and said they were interested in technology in this area and I was part of the process in making them understand what it would take to make this commercial, the development risks involved, how much it might cost and helping them estimate what would be the first investment required." Professor Karni explains the science: "We are taking solar energy and using it to break down the molecules of carbon dioxide emitted from the exhaust of power plants, converting them to molecules of a fuel. "In this way, solar energy is converted to chemical energy. Carbon dioxide is the main contributor to global warming. In addition to it, combustion processes also emit other byproducts, which are poisonous and can cause lung diseases, asthma, etc." If the technology works, Professor Karni sees an added benefit: "The current political situation shows that there can be problems relying on imports of energy from a region like the Middle East. For Israel, this technology could give us some independence." Indeed, if successful, the technology would give the professor himself the sort of independence many of his fellow scientists at Weizmann already enjoy. ISRAELI and Palestinian negotiators yesterday reached a deal for nearly 1600 Palestinian prisoners to end a hunger strike, amid signs of other breakthroughs. Two of the Palestinians were into their 77th day of the strike and in hospital and more than 1000 were into their 27th day. 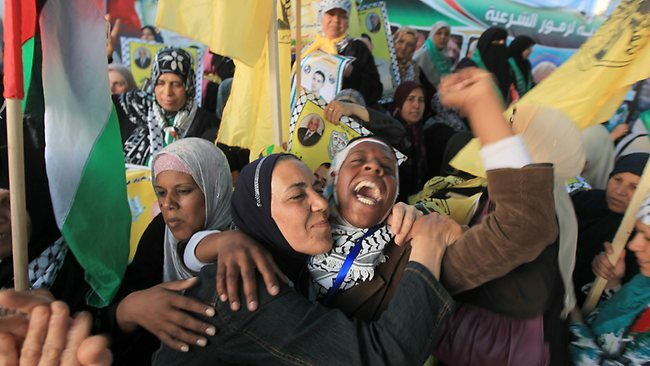 Many of the Palestinians are in prison for terrorism-related charges. The main target of the hunger strike was Israel's policy of "administrative detention" under which they can be held without charge and without knowing the evidence against them. The administrative detentions are often for six months and can be rolled over indefinitely. The Israelis argue that if they reveal the evidence against the detainees they would be revealing their sources of information. The prisoners were also protesting against the use of solitary confinement. Human rights lawyers say Israel keeps not just adults, but also teenage boys in solitary confinement and that one boy was kept in solitary for 65 days. Others had been kept in solitary with lights on for 24 hours a day. Under yesterday's deal, which was brokered by Egypt, the 300 Palestinians currently under administrative detention will be released when their term expires if no new evidence is presented against them. According to Israeli media, the Palestinians in turn agreed not to operate terror organisations from inside prison. The breakthrough comes in the wake of the first face-to-face meeting between Israeli and Palestinian negotiators to try to restart peace talks. Israel's chief negotiator, Yitzhak Molcho, met with Palestinian Authority leader Mahmoud Abbas last weekend and is believed to have told him Israel would make three goodwill gestures: concessions on prison conditions, returning the bodies of 100 Palestinians it says were terrorists and releasing some prisoners. Israeli Prime Minister Benjamin Netanyahu has said Palestinians should use the fact that the centrist Kadima party has joined his government to resume peace talks. Palestinians have refused to continue peace talks while Israel continues to build Jewish settlements in the West Bank that are widely regarded as illegal under international law. Meanwhile, the European Union yesterday called on Israel to halt the "forced transfer of population" of Palestinians from Area C in the Palestinian territories. Area C is the largest of the designated areas in the territories under Israeli military occupation. Under the Oslo Accords, Israel was given temporary civil and security responsibility over Area C until a final status deal could be agreed. The report said: "The EU calls upon Israel to meet its obligations regarding the living conditions of the Palestinian population in Area C, including by accelerated approval of Palestinian master plans, halting forced transfer of population and demolition of Palestinian housing and infrastructure, simplifying administrative procedures to obtain building permits, ensuring access to water and addressing humanitarian needs." It said Israel's "marked acceleration of settlement construction" threatened to make a two-state solution impossible and expressed concern about evictions and house demolitions in Arab-dominated East Jerusalem, changes to the residency status of Palestinians, the worsening living conditions of Palestinians in Area C, plans for the forced transfer of Bedouin and "the prevention of peaceful Palestinian activities". In reference to the Hamas-controlled Gaza strip, the report said: "The EU is appalled by recurring rocket attacks."